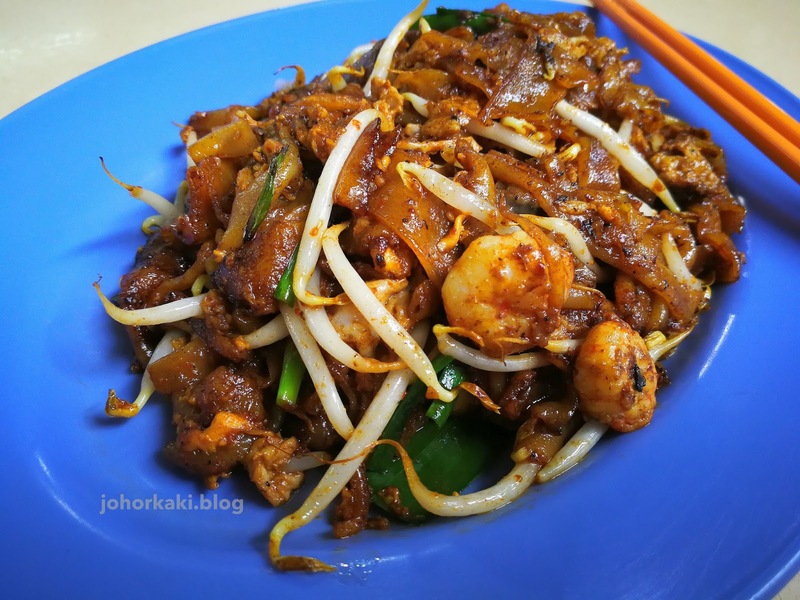 Char kway teow is a very popular dish in Singapore and Malaysia, so CKT stalls are found everywhere here. Anthony Bourdain called this humble stir fried noodle dish, the "tastiest ugliest mess". But, good CKT stalls are actually rare as CKT is a very hard dish to master. So, good CKT stalls like stall 61 in Taman Sri Tebrau Hawker Centre in JB become very popular. Sri Tebrau Hawker Centre is probably JB's oldest operational food centre and it looks the part in many ways. Pitted grey cement floor, puddles of water, rusty zinc roof, dark even during the day, but thankfully it is quite airy and cool inside due to the high roof and whirling fans at every corner. 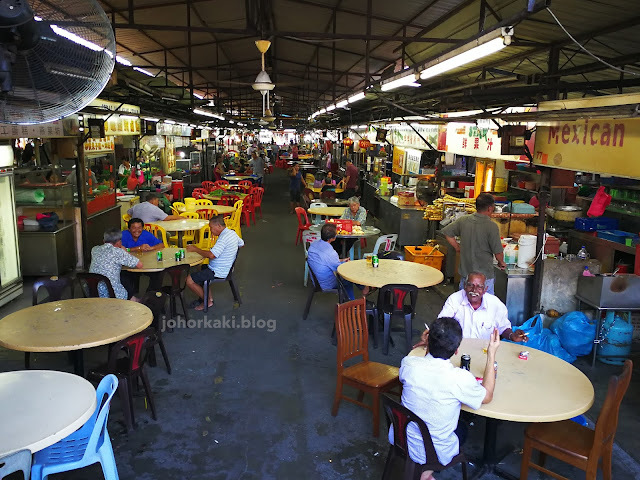 Many old heritage hawkers still operate here but on a semi-retirement basis, so you will see many stalls randomly closed with no fixed off days 😂 Still, the sleepy hawker centre have it's unique charm. Older locals still chill out here as they did for decades. 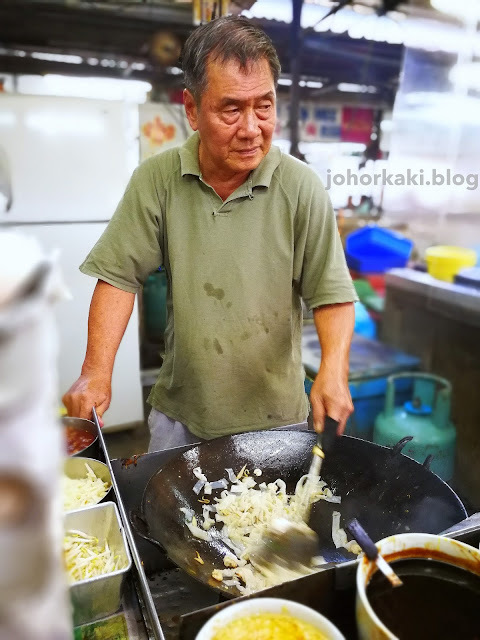 Stall 61 owner, Mr Khor has been frying char kway teow for over 30 years. 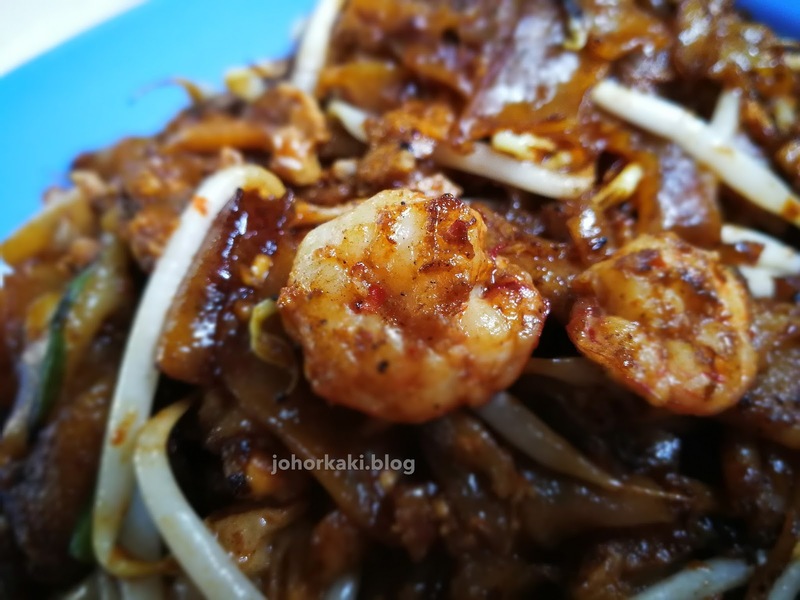 Though char kway teow purists might roll their eyes that Mr. Khor uses not pork, no lard in his CKT, this is still one of JB's tastiest CKT. Mr. Khor's son, Ryan is a char kway teow master in his own right with his own following. Some fans prefer Ryan's frying, while others are loyal to Mr. Khor. 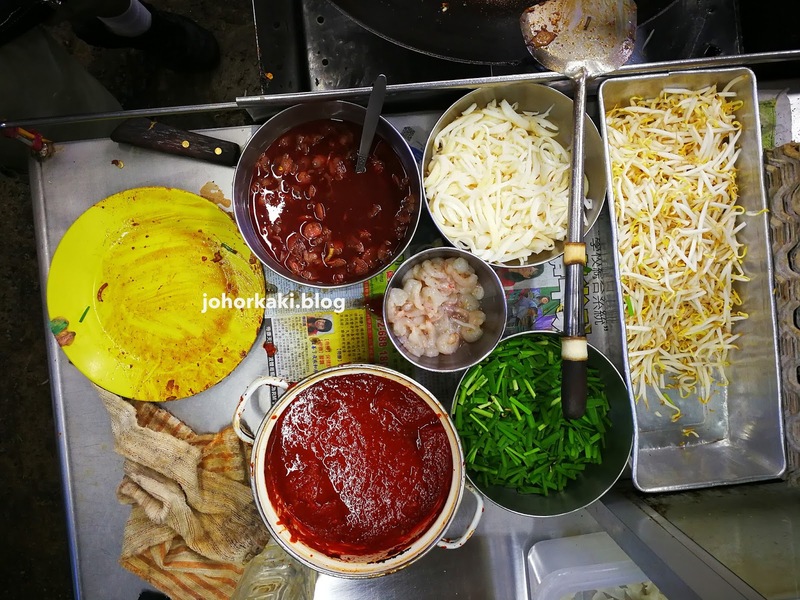 I like it that Stall 61 uses broad rice ribbon noodles (instead of skinny kway teow kia). 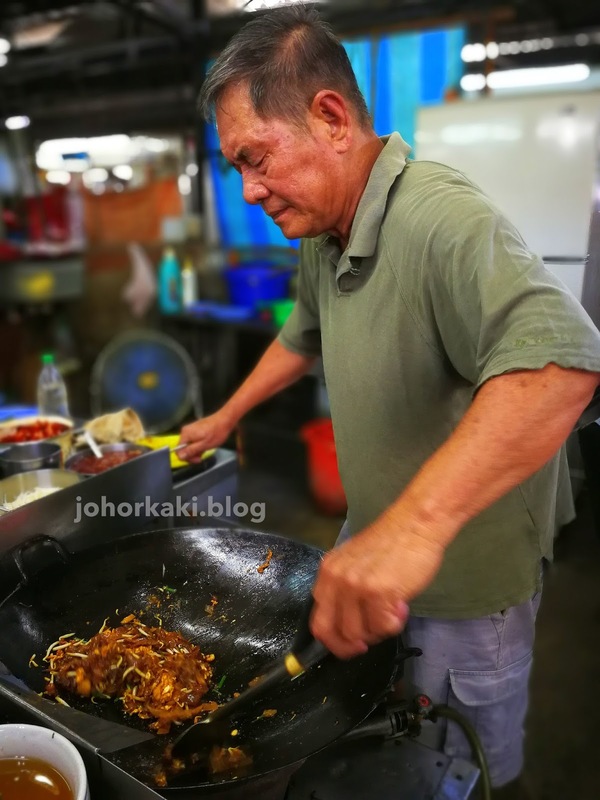 The ingredients for Mr. Khor's char kway teow are really quite humble - blood cockles, fish cake, shrimps, garlic, chives, bean sprouts, eggs, chili sauce, soy blend sauce, and vegetable oil - that's all. Stall 61 uses kampung chicken eggs for their char kway teow. 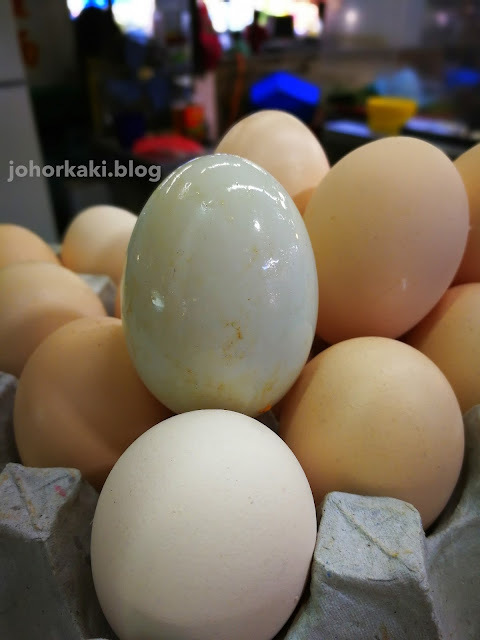 For RM1 more, you can have kampung duck eggs. Just tell Mr. Khor or Ryan, if you would like duck eggs in your CKT. The taste of the char kway teow depends heavily on the technique and skill of the stall holder. 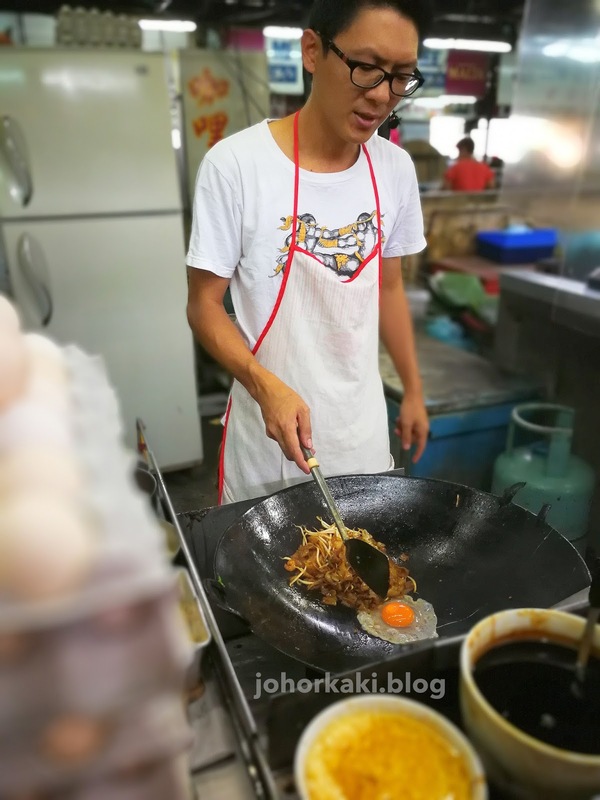 Mr. Khor / Ryan starts by frying the prawns, garlic and fish cake strips in sizzling oil. 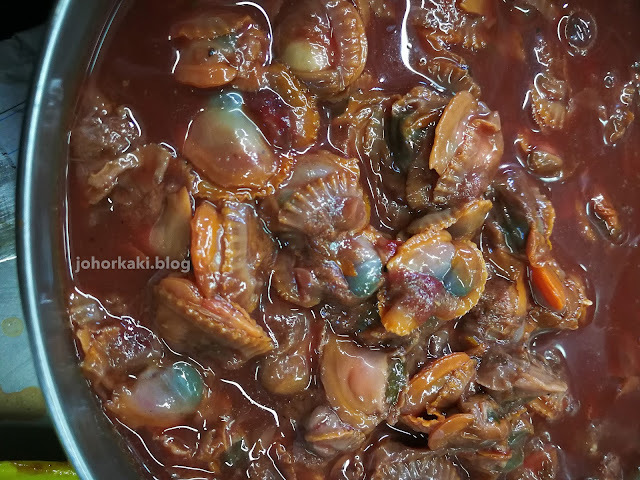 The heat drives the flavours out of the shrimps, garlic and fish cake strips, and infuses them into the hot oil. 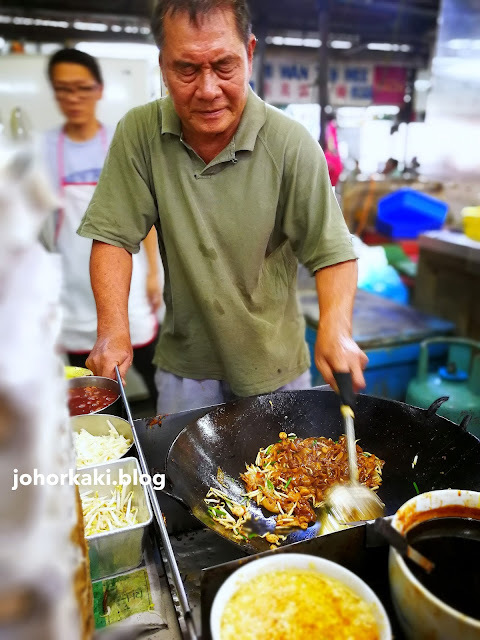 Mr. Khor then tossed the snowy white kway teow into the sizzling flavour infused oil. The hot oil sears and seals the infused shrimp, fish cake and garlic flavours into the rice noodles. 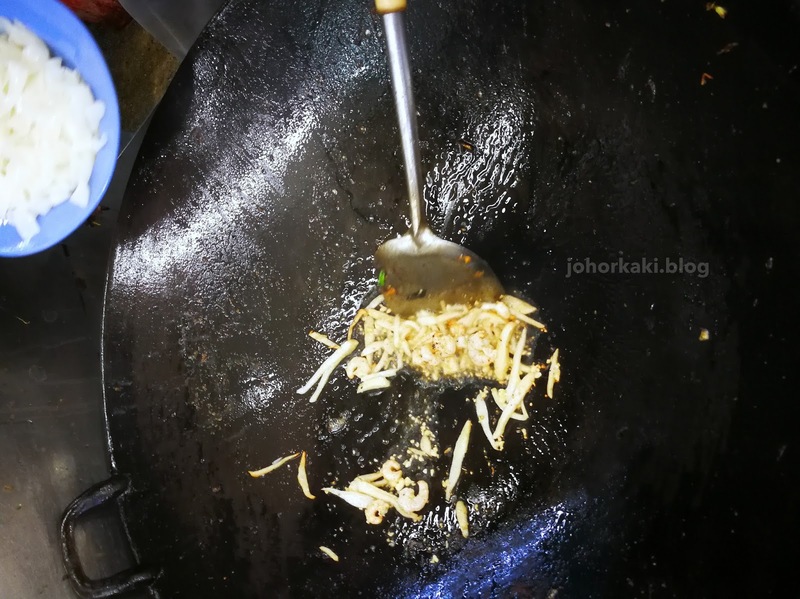 At this stage, the wok and hot oil impart a slight char and smokey flavour to the noodles, often referred to as "wok hei". 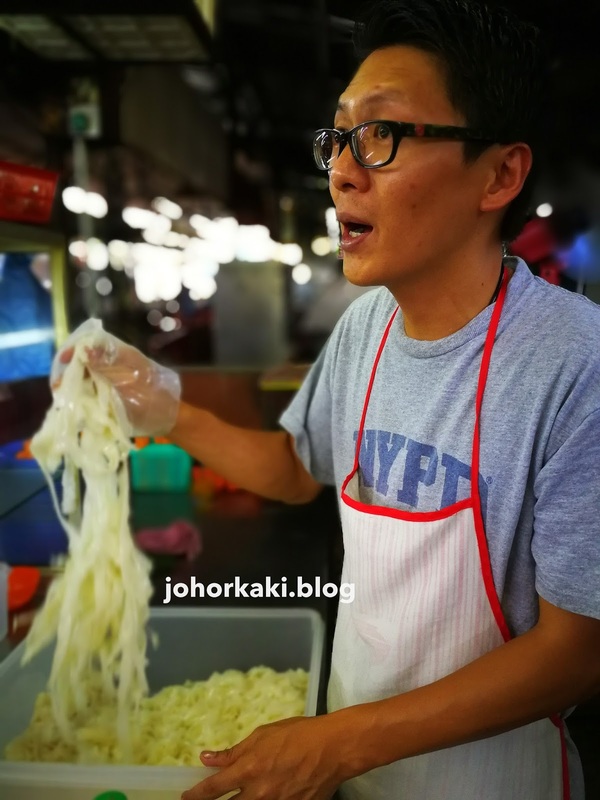 Next, Mr. Khor splashes in a specially blended soy based dark sauce. This savoury sauce adds in more layers of flavour onto the flavour infused noodles. Finally, in goes the egg followed by the blood cockles, bean sprouts and chives. 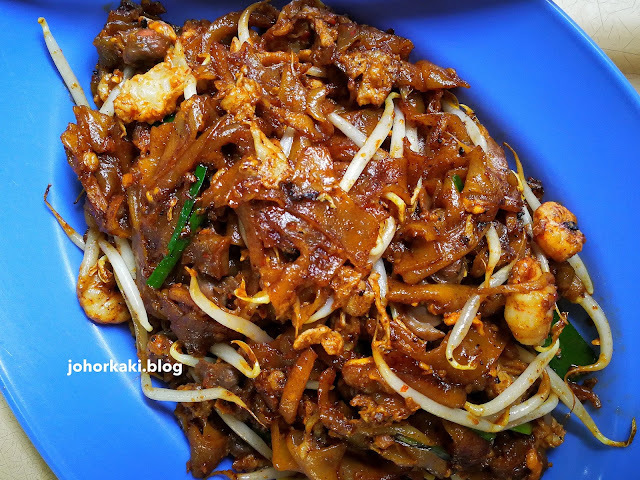 A few quick toss and the char kway teow is ready for serving. 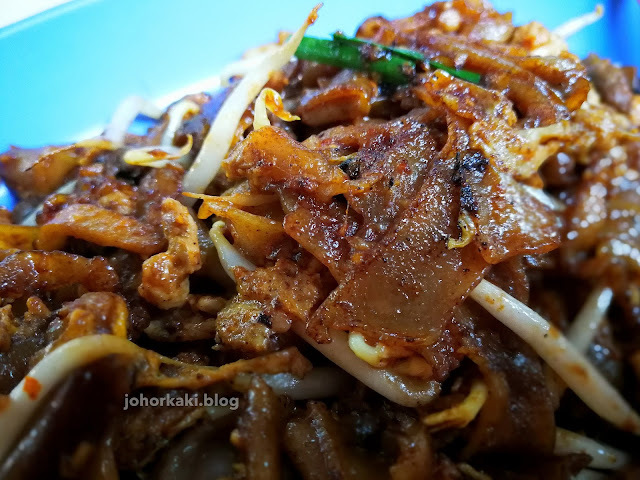 This plate of duck egg char kway teow is fried by Ryan. Even though it has no lard, no lard crackling and no lup cheong, the noodles are packed with a stack of layered savoury flavours with subtle sweet and smokey notes. 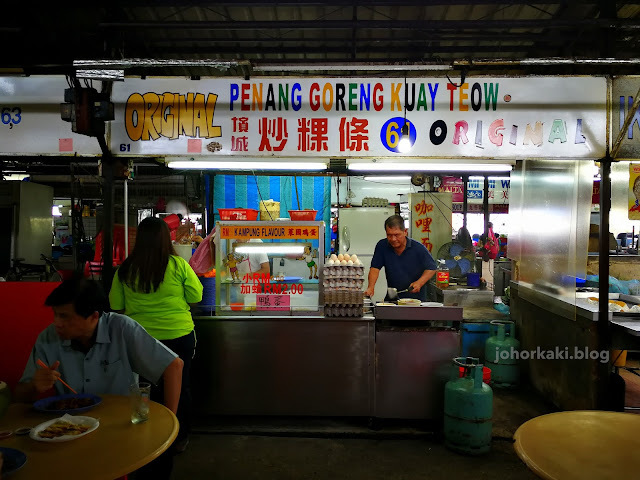 Despite going through the hot oil, the tiny still springy shrimps pack a crustacean sweetness and savouriness, attesting to the quality of the sua lor prawns. 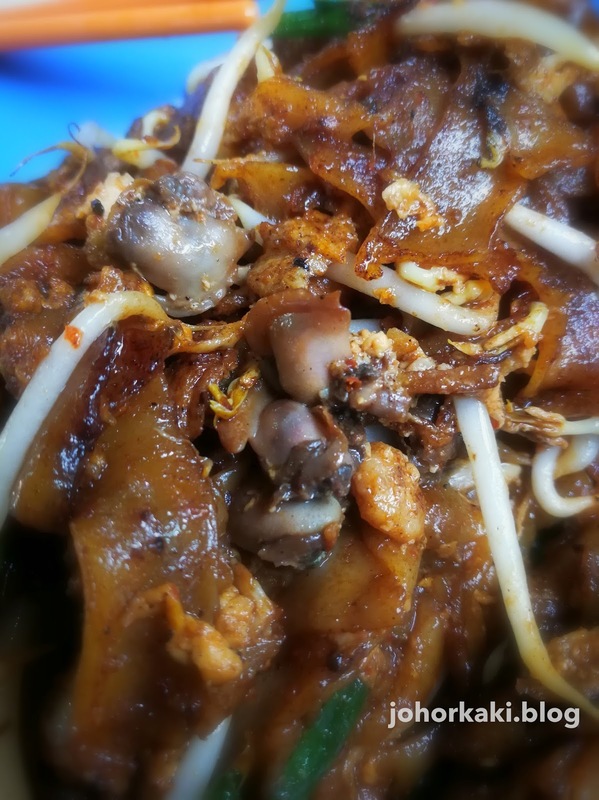 The moist spongy blood cockles, juicy crunchy bean sprouts, chives and egg all retained their natural flavours, playing their part to make this a delicious char kway teow. Buah long long juice and stall 61 duck egg wok hei char kway teow - match made in heaven, I tell you. 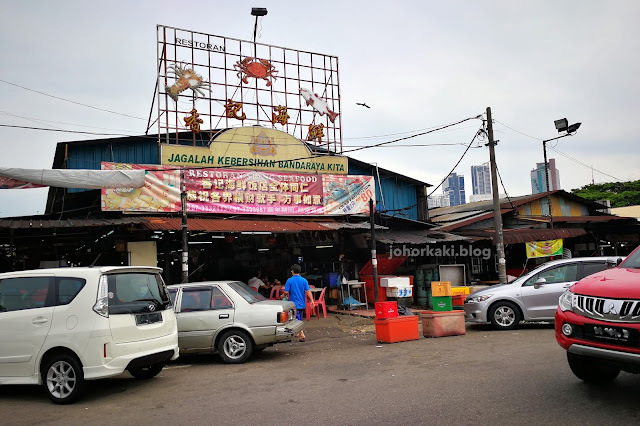 At Taman Sri Tebrau Hawker Center, JB. 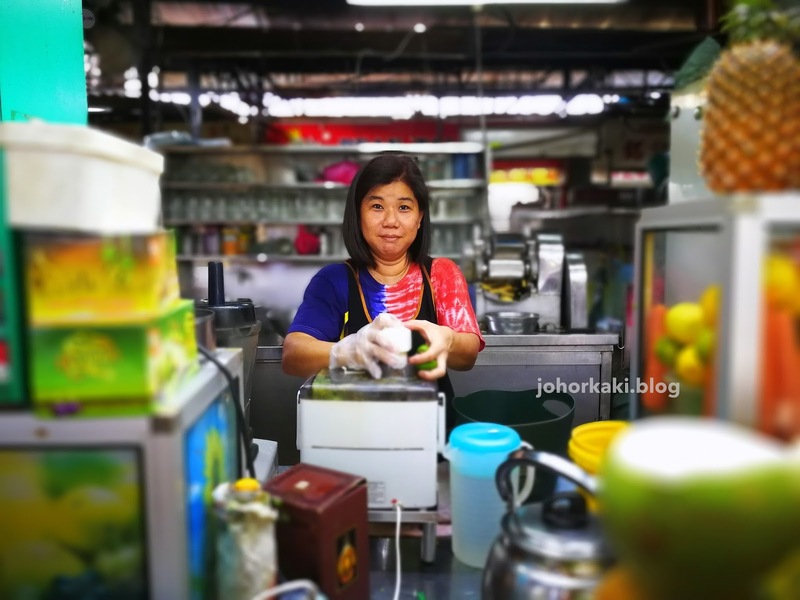 Get your buah long long juice from stall 58, directly opposite Mr. Khor's char kway teow stall.